You may download the current document from the link below. Hi Miriam, thanks for the comment. However, we don’t send regular email news letters, if that’s what you mean. But you can subscribe to the RSS Feeds of this website if you want to get alerts for new posts. You can use most of the popular email clients (Thunderbird for one) to fetch RSS Feeds and also emails and save them on your computer. Regards. where or how can I read the whole document of your PDPFP, thanks. Hello, thanks for your inquiry. The whole PDPFP document may be downloaded from the left panel of our website under “DOCUMENTS TO DOWNLOAD” section. Please scroll through the list to find the Provincial Development and Physical Framework Plan. The document is in 3 volumes and needs to be downloaded separately. Just click on the volume link to download. The downloaded file is a 7-zip compressed PDF file which needs to be decompressed using a 7-zip capable file archiver. If you don’t have one, you may download it from their website. 7-zip is a free open source software and is available for most major platform. You may find the Executive Order on page 234 of our PDPFP Volume 1: Main Plan Document. 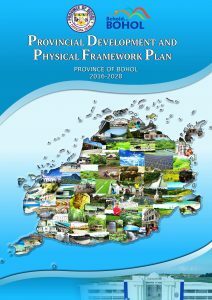 I would like to commend the effort of the Province of Bohol for their efforts in informing the Public of the Plans and Programs of the Government. This will be helpful in achieving full support of the public. is clup a section of the pdpfp? The Comprehensive Land Use Plan (CLUP) is only for the municipalities. In the provincial level, the equivalent document to the CLUP will be the PDPFP. 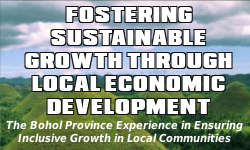 You may access the PDPFP from this link: Provincial Development and Physical Framework Plan. The Comprehensive Land Use Plan (CLUP) of the Municipality of Cortes is for the municipality to dispose. While PPDO-Bohol is providing assistance to the Municipality of Cortes in updating their CLUP, such document is still being worked out and as of the moment, while the updates are not yet approved, their current CLUP is still the official document. We only have on file the old version of the CLUP of Tagbilaran in hard copy. They are currently updating their CLUP but no final approved updated version as yet. You might want to communicate with the City Planning and Development Office for more information regarding the matter. With respect to infrastructure, we don’t have such data. Perhaps you might want to communicate with the City Engineer’s Office regarding the matter. How may I know the CLUP of Garcia – hernandez, Bohol ? With respect to the plant facility (PMSC) located in the area. What is the zoning category of the leased Area? Thank you for considering my querry. Hi Ritchielyn, thank you for your query. However, the can’t answer the question regarding the CLUP of Garcia-Hernandez. You might want to refer your query to the Municipal Planning and Development Coordinator or to the Municipal Zoning Officer. Hi Sir, this is from NEDA Central Office. Are you considering the establishment of Iron and Steel in Bohol for the province’s industrialization? Why and why not? Thank you. Hi, the Bohol Environment Code and also the Investment Code does not allow heavy industries. Only light industries are allowed in the province. Good day to you. I am currently reviewing for the 2018 EnP Board Exams and I do find the plans and reports here in Bohol PPDO very beneficial to my studies. Keep up the good work! I don’t do the plan, I only administer the website. In behalf of PPDO-Bohol, thank you for the complement.